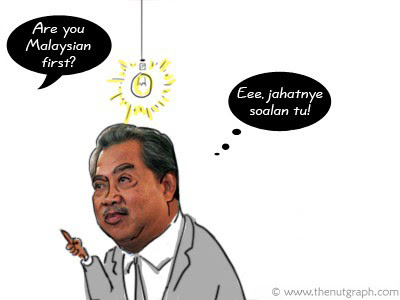 Rightways: We are Malaysians first, not Malay first! We are Malaysians first - own it! We can do it: When faced with the challenges of being truly Malaysian, we should not be as timid as Game of Thrones Theon Greyjoy (left) waiting for sausages to be served. I SPEAK my mind. I don’t care what you think of me or what I say. I care that I move people, and hopefully for the best. You cannot sugar-coat truth, truth must be spoken loud and clear if we want to make a difference. Speak Out. A great nation is one where the majority looks at its marginalised minorities with compassion and empathy, and ensures their wellbeing is taken care of, and the weak among us are always protected. A great society ensures that the disadvantaged are helped in the best way such that opportunities do not pass them by. Malaysia in this sense is a real paradox. 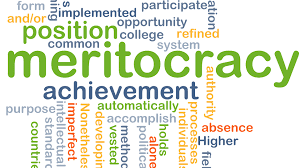 It has a majority that is politically powerful and yet economically weak and uncompetitive. The Malays (and to some extent our bumiputras overall) by and large have been told over decades that they are superior but are unable to compete and therefore needed every advantage and protection by their political leaders, their clerics, the state, the monarchs and every other self-proclaimed champion under the sun. Hence, we create a supremacist complex, subconscious in most and overt in some, but one with a dependency syndrome. The minority Chinese and Indians are economically strong, competitive and over the years, in the absence of a reliance on government assistance, has also become urbane and progressive in outlook. Hey! Do you know the other minority that to a certain extent fit this category? The progressive Malay liberals. That despised minority among the majority. What do all these people have in common? When faced with the challenges of being truly Malaysian, they are as timid as a gang of Theon Greyjoys waiting for sausages to be served. The majority of them are so scared to speak out or come out. Witness the Bersih rallies, the numbers are way below the actual support. I have news for all you Theons, we can do it. You’ve proven it on May 9. You all came out. Don’t stop there. It’s time all of us come together to change our nation to be truly progressive, modern and, sooner rather than later, join the ranks of developed nations. To do that we must be Malaysian first – without fear or favour. Never again allow an injustice perpetrated upon your fellow Malaysians be left unquestioned and unanswered. Never again allow that little voice that says “let’s not court trouble”, or those that shout at you “you are not of the religion, do not interfere” stop you. Humanity knows no race, no religion nor does it care what your supposed station in life is. We are all Malaysians. If we want to be equal we have to behave as equals, until the powers that be capitulate. If we see our race denigrating or abusing the other, speak up and condemn it. If we see another race doing it to their own, speak up as well. If we see another people of a different religion abusing and persecuting their own kind, speak up. They are your fellow Malaysians. There is no justification in persecuting our fellow Malaysians. If someone proposes to impose penalties upon Malaysian Muslims that only the Muslims in our nation will be subjected to for the same crime, we must all speak up and oppose it. This is not about religion. It is about fairness to our fellow citizens. Being a Malaysian means speaking up on behalf of every one of our countrymen. Standing up to oppression and for justice for all. None of us can or should be shut up for one reason or another when it comes to what happens in Malaysia and to Malaysians. We are all equal. We need to walk this talk until we change the environment by which discourse takes place in this country. There will be many detractors and there will be many people who will mine the well of extremism to stop us. We should not be cowed by them because that is what they want of us. They have been scaring us all to compliance all these years. Right-thinking Malaysians must demand that our elected leaders step up and lead, and not follow the herd. The herd follow the shepherd, not the other way around. When I hear characters say “we must be sensitive to the feelings of the majority”, I know these are no leaders. These are mere political hacks, characters who are interested in the jockeying of position and personal victory, rather than one willing to risk his or her popularity to stand by the courage of their convictions and chart the destiny of the nation and its people. More than likely such people do not even have any convictions. This nation needs leaders. We are at crossroads in our history. I believe the next three years will determine whether we will sink back into the old politics of protecting and championing race and religion, or we will emerge as a confident nation of equals ready to bring our collective strength to take on the world on our own terms. The result will be determined by us Malaysians speaking out and standing up to and with our fellow countrymen, and insisting that our “leaders” lead. This is what I intend to continue to do. THE Science and Technology Human Capital Report and Science Outlook 2015 by Akademi Science Malaysia show that we may soon have a serious shortage in science-related fields. It seems more students are opting out of STEM (Science, Technology, Engineering and Mathematics) fields at secondary and tertiary levels. Deputy Women, Family and Community Development Minister, Hannah Yeoh – quoting the National Council of Science, Research and Development which stated that the country needed about 500,000 scientists and engineers by 2030 – pointed out that we have only 70,000 registered engineers, seven times lower than the number required. Meanwhile, the Education Ministry proposed black shoes, special number plates and a manual for noble and religious values to be read out at assemblies. What is going on here? Why is there this serious disconnect between what the nation needs and what the so-called custodian and driver of the nation’s education machinery? I think it’s time to talk about the fundamental elephant in the room that no one wants to talk about when it comes to education reform in Malaysia – the number of hours dedicated to religion (including its related subjects) and the influence of religion in Malaysian schools. With 60% of our population being Malay-Muslims, what and how their children are educated from young is a concern to all Malaysians. They are the backbone of the nation’s future. Even a cursory look at the hours spent by these children in religious classes should alarm everyone, what more in the government’s Sekolah Agama (religious schools). Equally of concern, in Sekolah Kebangsaan (national schools), non-Muslim children would be attending alternative subjects that may not enhance their educational value, especially in Science, at the times Malay children attend their religious classes. Educating children is a zero-sum game. There are only so many hours in a day. Children cannot be going to classes all day long. They also need time for games and sports and other extracurricular activities that have nothing to do with classroom learning but more to do with expanding their experience of life, physical exertion and just relaxing. Therefore, their “classroom time” is finite and each subject accommodated means another will have less of it. A typical Malay-Muslim child in Year One at national school undergoes approximately four hours per week of religious studies (including related subjects such as Tasmik or Quran reading). Another hour and a half per week go to Bahasa Arab. Science, on the other hand, is only accorded an hour and a half per week. A Year Six pupil gets about four hours of religion and related subjects, with one hour of Arabic per week. Science gets two hours per week. The only reason for Arabic being taught is due to its affiliation to the religion, otherwise the next language a Malay child should be learning is either Chinese, Tamil or even Spanish, the next most spoken language after English. So basically from Year 1 to Year 6, the ratio is approximately on average two hours of Science versus five hours of religion per week. That is the formative years of our children. What are we doing to our children? This is appalling. We are basically indoctrinating our children in religion and neglecting basic sciences that will make them critical thinkers and progressive individual with real foundation. In the same instance, our non-Malay children also are disadvantaged because they are not taught those sciences at the time Malay children are in their religious classes. The function of education is learning to think critically. The function of religious studies is indoctrination to be obedient followers. We are regressing our Malay children and failing our Malaysian children overall. Again, let us be honest. Our national education system today, save the vernacular schools, both from an administrative and teaching standpoints are overwhelmingly Malay. And the Malay-centric system is overwhelmingly religious. Our children are taught overtly and subliminally that being the “correct” Muslims is the only option. The authoritative teacher and peer pressure brought upon the Muslim child today is overwhelming at school. It is a norm to find daughters coming home in tears being bullied as a result of their or their parents’ outward appearance, especially mothers, that do not conform to religious dogma. The bullies in most circumstances are the Malay teachers themselves. As such, both parents and children conform to avoid the oppressive peer and teaching pressure. In such an environment, the dichotomy between Muslim and non-Muslim children becomes pronounced. Is it any wonder that our society right from school to their adulthood has become divided and suspicious, and in a significant portion, easily inflamed with hatred? Today, race is not the main driver of such divisiveness, it is the religious influence over society starting from the schools. We need to confront this issue head-on and not be cowed by the label of “sensitivity”. It is the sensitivity of not talking and confronting these issues that has made the bad become even worse. One cannot solve a problem if one cannot acknowledge and confront their existence in an honest manner. We need honest conversations and political will from the Education Ministry to overcome this seemingly intractable virus that has infected our whole education system and administrative body. In this aspect, I have not even touched about the watered-down content or substance of the school subjects, especially Science and History, as a result of the religious influence within our education system. What we have is an almost unique Malaysian national education problem found nowhere else in a functioning democracy. The result of at least 30 years of Barisan Nasional and PAS politics of using religion to buy the votes of the Malay electorate. We require a head-on examination of the philosophy of Malaysian education which is today religious-centric instead of education-centric and STEM-centric as would be required by a 21st century modern nation that wants to be developed. It also requires a total re-education of our teaching human resources – from one that has been religiously indoctrinated to one that will be accepting of all religious and non-religious peoples and societies as being equally good. One where the teachers are focused on STEM education and ensuring critical thinking rather than being obsessed with religious pre-occupation of any sorts when they are in the national schools educating our children. One where rational critical thought is the inspiration for good values rather than one that derives on religious books and doctrines as the minister has instead suggested. We need to demand this of our Government, from our educators and our education system. If these two fundamental aspects of our basic primary education cannot be rectified – a major increase in teaching/learning time for the sciences and a significant reduction in religious indoctrination and influence in national education – no amount of other esoteric and sophisticated policies and plans would be of any worth. 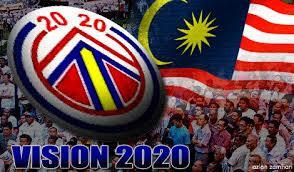 KUALA LUMPUR: Former Deputy Prime Minister Tun Musa Hitam said Malaysia’s Vision 2020 objective was “falling apart” with “alarming speed”, and he blames Tun Dr Mahathir Mohamad for it. In his keynote speech at an event to mark the sixth anniversary of the Institute for Democracy and Economic Affairs (Ideas), Musa said this was because the former premier did not train leaders but instead chose to retain and train followers instead. 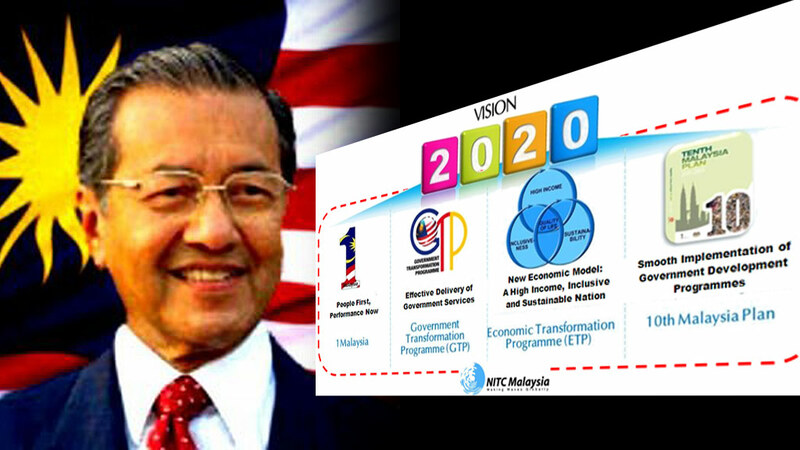 “It is ironic that Dr Mahathir’s vision is now certain to fail because of Dr Mahathir himself. In Malaysia, the majority Malays are protected by government with special privileges, powers and positions, treatments and benefits for over 60 years now after independence. It is high time for New Malaysia to review and evaluate the outcomes and results, their mindsets, implications, consequences for good of their future; to push forward for meritocracy systems and equality among fellow minority Chinese and Indian, so that we can achieve as a normal successful nation status that protects the minorities based on universal values with compassion and empathy, and ensures their well-being is taken care of, and the weak among us are always protected, a great society ensures that the disadvantaged are helped in the best way such that opportunities do not pass them by, irrespective of races, religion and political background .